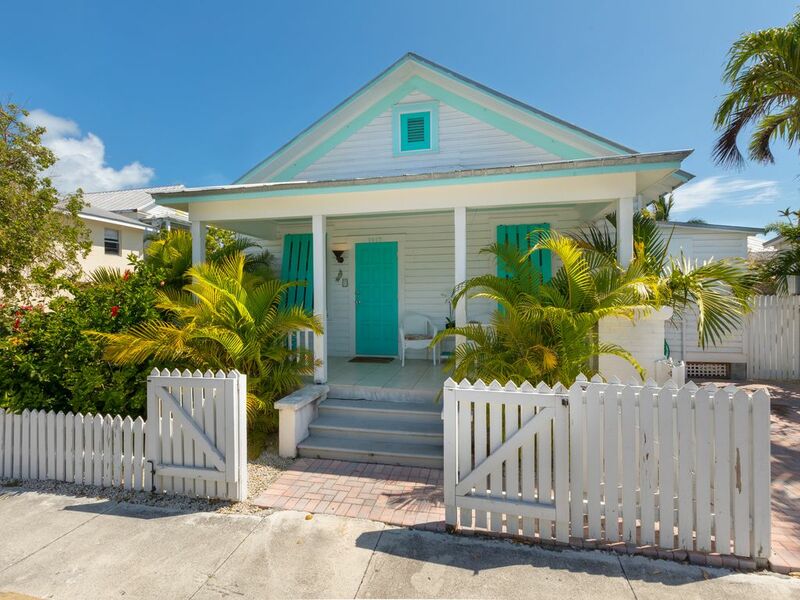 "VITAMIN SEA" ~ Adorable Pet-Friendly Conch Home in Historic Bahama Village! Historic Bahama Village home totaling three bedrooms and three bathrooms with off street parking awaits your arrival! This open concept getaway is tastefully decorated throughout with nautical decor that has you feeling like you are on island time as soon as you step through the front door. Relish in the comfort of this cozy living space boasting natural lighting throughout. The updated and fully equipped kitchen comes with stainless steel appliances and granite counters to prep for family mealtime that can be enjoyed at the dining table for 4 with additional seating at the breakfast bar for 2. All three bedrooms are located off Great Room area and come with an en suite full bathroom with walk in showers, ceiling fans and ample storage space. Two bedrooms come with queen size beds and one with a full size bed. Perfect setting for families or couples traveling with friends. Enjoy sitting porch side with seating for 6 while you enjoy the evening breeze and watching people walking by in this friendly neighborhood. Grill up your fresh catch of the day out on the back patio with inviting shade from the swaying palms above. This home is only steps away from Duval St. making this a perfect retreat that is near all that Key West has to offer, yet tucked away for a peaceful evening's rest. Pets are considered at 40 lbs or less. Treat yourself to the number one destination in the Continental United States. Key West offers an amazing vacation to travelers from all walks of life. Beautiful sub-tropical climate, amazing turquoise water and a community of charming people, Key West has it all. Our professional staff can assist you with locating the "right" property, offering round the clock property management. This property is perfectly located close to all the local bars, restaurants and local attractions. Enjoy the historic, quaint neighborhood of Bahama Village which is steps away from everything you desire. Non-refundable pet fee. Dogs under 40 lbs considered. Had a great month in Key West. House was located close to everything yet just far enough away from too much buzz. Clean and comfortable place had everything we needed. Located nearby The Hemingway House, Truman White House and all the main local attractions and restaurants!